Welcome to our page of adorable gifts and collectibles. Each porcelain doll comes with a certificate of authenticity.Please click on the fallowing links to jump unto the page of your choice. Please enjoy your visit and come again soon. 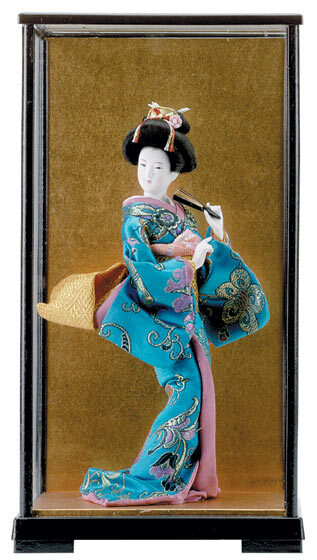 A traditional japanese dance, complete with ornamental fans, is portrayed in detailed alabastrite and hand painted in the soft hues of a traditional floral motif. An excellent addition to the laverona collection. 6 1/4" x 6 3/4" x 13" high. 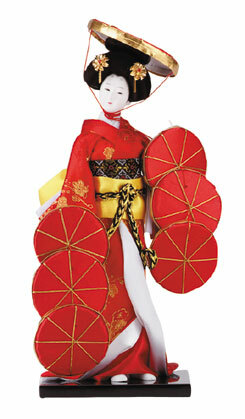 Elegance and serinity, characterized the classic Japanese woman. 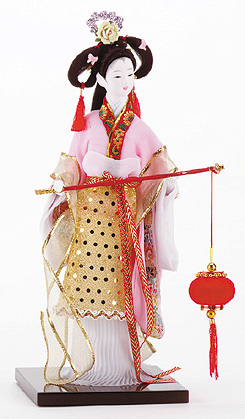 This traditionally dressed porcelain doll captured that beautiful spirit. 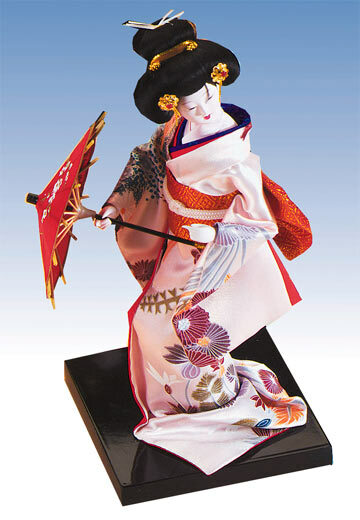 She stands on a black laquered wood base. 5 1/8" x 5 1/8" x 11 1/2" high. 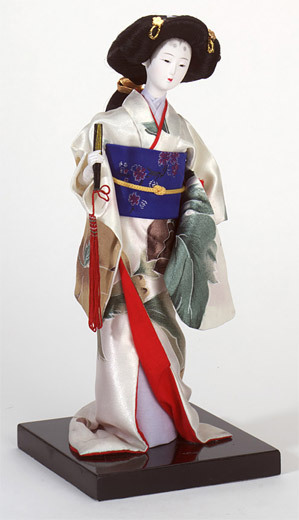 The distinct grace and beauty of the Kabuki dancer is demonstrated by this detailed porcelain figure. Clothed in authentic dress, black laquered wooden base. 5 3/4" x 4 1/4" x 11 3/4" high. 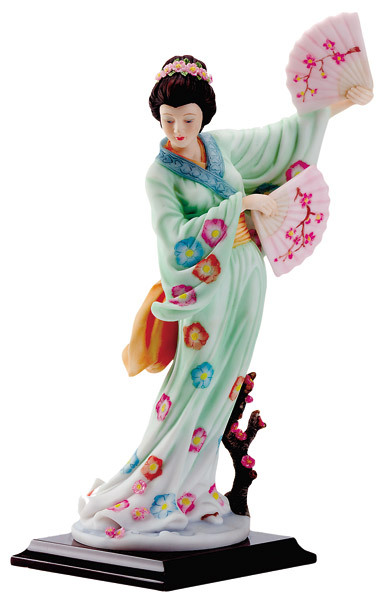 This porcelain geisha, in a typical pose complete with fan, signifies the beauty and grace of the dance. Black laquered, wooden base. 5 3/4" x 4 1/4" x 11 3/4" high. 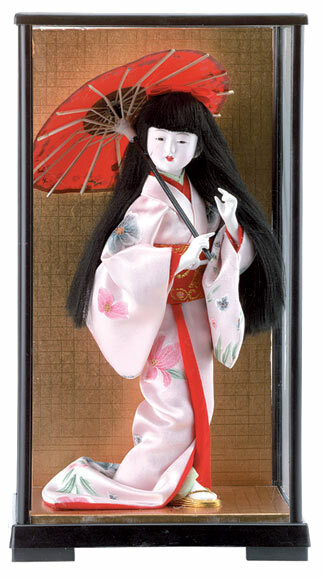 With long hair flowing under her open parasol, this lovely geisha lady in kimono stands demurely in a weood frame case. 6 1/4" x 5 1/8" x 11 1/2" high. Case assembly needed. Exclusive. 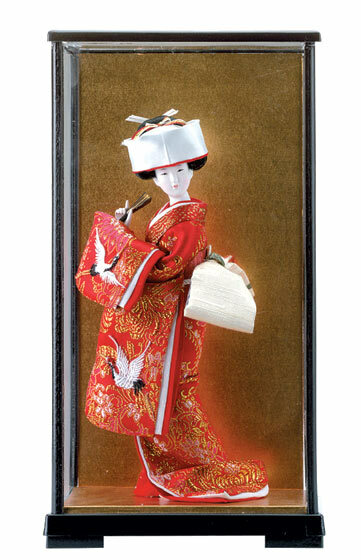 Lush heron-motif brocade covers this delicate japanese bride porcelain doll, a black laquered wooden display case, completes the graceful presentation. 6 1/4" x 5 1/8" x 11 1/2" high. Case assembly needed. 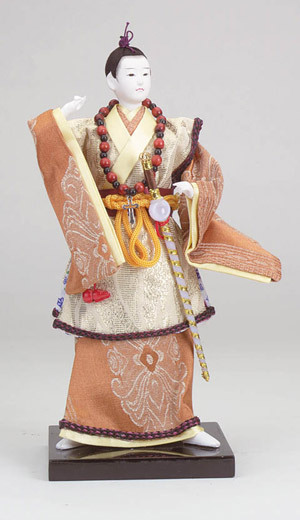 Japanese Doll. 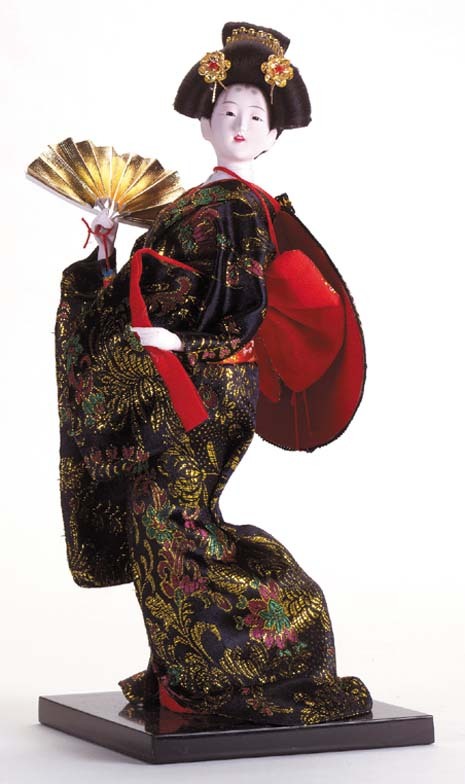 Posed elegantly in her authentic finery, this Japanese doll holds a lantern and rests on a lacquered, wooden base. 5 1/8" x 5 1/8" x 12 1/4" high. Porcelain Chinese Doll With Lantern. 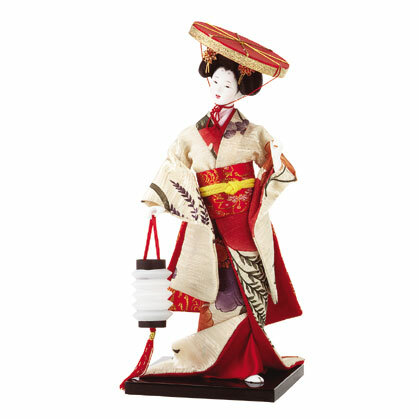 Dressed in an elegant kimono and carrying a lantern to light her way, this lovely porcelain doll stands on a lacquered wooden base. Exclusive. 5 3/4" x 4 1/4" x 11 3/4" high.